Kenneth Lee "Ken" "Fox" Dorm, Sr. 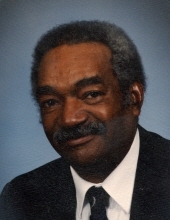 Celebrating the life of Kenneth Lee "Ken" "Fox" Dorm, Sr.
Obituary for Kenneth Lee "Ken" "Fox" Dorm, Sr.
Kenneth Lee “Ken” “Fox” Dorm, Sr., age 86, of Westminster, went Home to be with the Lord on Thursday, April 11, 2019, while surrounded by the comfort of his family at Carroll Lutheran Village. Born July 25, 1932 in Westminster he was the son of the late Earl Christopher, Sr. and Catherine Dorsey Dorm. He was the devoted husband of Queen Young Dorm, whom he married June 30, 1962. Ken was a graduate of Robert Moton High School, class of 1952. Upon graduation he served his country in the United States Army. He was employed at Black and Decker as a custodian for over 20 years, until the company’s closing. Then he was able to build on his hobby and started his own lawn service; meticulously and proudly caring for lawns throughout Baltimore County. A true outdoorsman, Ken enjoyed fishing and hunting, and found peace and reverence in nature. He was talented at building birdhouses and was a skilled artist. He was a great role model, and caring man that truly appreciated a hearty handshake. He was a member of Longview Bible Church. Surviving in addition to his wife is son Kenneth “Lee” Dorm, Jr; siblings Jessie Dorm Patterson, Mary Hann, and Sharon Cornish; and a host of loving nieces, nephews and extended family. In addition to his parents he was predeceased by siblings Charles Dorm, Charlotte Dabbs, Earl Dorm, Jr., William Dorm, Clarence Dorm, Gordon Dorm, Francis Dorm, Howell Dorm, Joan Willis, and Georgiann Dorm. The family will welcome friends on Tuesday, April 16, 2019 from 5 to 8 pm at Pritts Funeral Home and Chapel, 412 Washington Rd., Westminster. A funeral service will be held on Wednesday, April 17th at 10 am at the funeral home, with Pastor Edward Lee officiating. 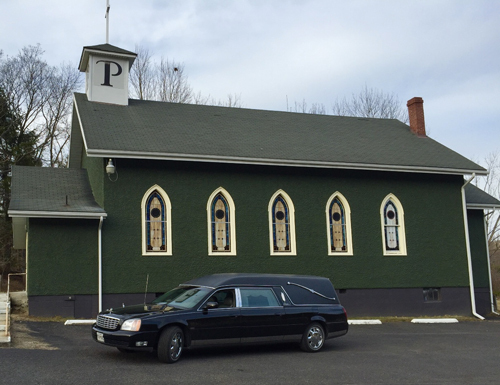 Interment with military honors will follow in Evergreen Memorial Gardens. In lieu of flowers memorial contributions may be made in his name to either Parkinson’s Foundation, 200 SE 1st St., Suite 800, Miami FL, 33131 or St. Jude Children’s Research Hospital, 501 St. Jude Place, Memphis TN 38105. To send flowers or a remembrance gift to the family of Kenneth Lee "Ken" "Fox" Dorm, Sr., please visit our Tribute Store. "Email Address" would like to share the life celebration of Kenneth Lee "Ken" "Fox" Dorm, Sr.. Click on the "link" to go to share a favorite memory or leave a condolence message for the family.